I was really sad when Greenleaf Hospitality sold the Holiday Inn West. I couldn’t really care any less about the hotel itself. My family has only stayed their once so we could take advantage of the pool. They typically stay at the much cheaper Baymont Inn down the street. What makes me sad is that with the sale, we lost Burdick’s West. Sure, the service could be spotty and they messed our to-go order up more than once, but we love the Burdick’s restaurants and it was nice having one so close to our house. It was about a year ago that the Burdick’s name left the restaurant at the Holiday Inn and we hadn’t been back since. I don’t like going in to things blind and it was damn near impossible to find any information online about the place. I don’t need reviews…I just want a menu. 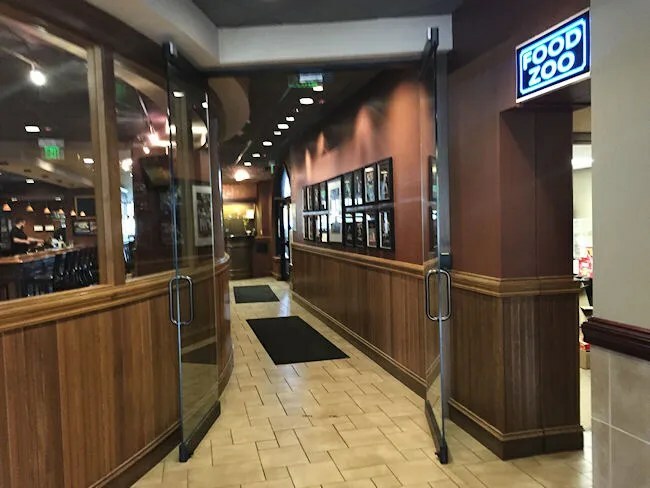 I eventually did find that menu on the Facebook page for the Holiday Inn West after my in-laws, who didn’t know the restaurant had changed hands, stopped in for dinner one night while they were in town. They were happy with it and said the menu was pretty good, so I finally decided it was time for us to do the same. 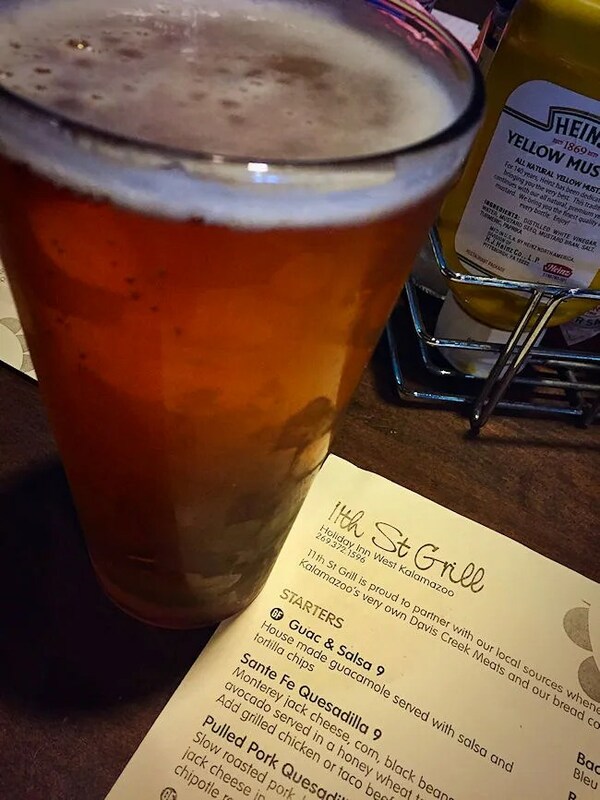 The next time my mother-in-law was in town, I suggested we check out the 11th Street Grill. We wanted to go out for dinner, but didn’t want to go far. The hotel is just south of Stadium Drive on 11th Street. You can see it from US-131, but it can be a little tricky to find if you don’t know where it’s at. It sits way back off the road and there are only small signs near 11th Street to show you the entrance. We walked in just before 5:00 on a Friday night. Nothing has really changed with the decor or set up of the restaurant. There’s still a large bar area as you walk in and a hostess station near the middle of the space that divides the bar from the main dining room. The furniture is all the same and they even have a lot of the same jersey’s hanging on the wall that were there when Greenleaf owned it. The dining room area that overlooks the large hotel at the pool was empty. We were given the option of a table or booth and we chose the table as it’s a little easier to wrangle the two kids. We weren’t given a drink menu when we sat down, but we knew they had some craft beer on tap. J asked for the list and I’m glad she did. My mother-in-law and I both got beers. My pick was Bell’s new Oatsmobile Ale. I’ve actually fallen in love with this one pretty quickly and regular pale ale’s aren’t really my favorite. I got a tall so there was more of this deliciousness. J’s mom got an Oberon while J ordered a Moscato. The menu at 11th Street isn’t large, but it does have a number of great sounding pub fare options. We actually considered ordering the Pulled Pork Nachos as an appetizer, but J wanted to pair it with a salad. They didn’t really have an entree salad that would have been fulfilling for her, so we passed on that and just ordered sandwiches. Both J’s mom and I ordered the Bacon & Bleu Burger. 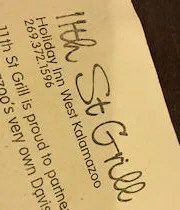 The menu brags about the beef coming from Davis Creek Meats in Kalamazoo….that’s great until you realize Davis Creek Meats is a national brand and something you can get at GFS. That doesn’t mean the meat was bad…I just find it funny that they are touting it as something local (and it is…they’re not wrong) like it was taken from a small farm nearby. All that aside, the burger actually was pretty darn tasty. 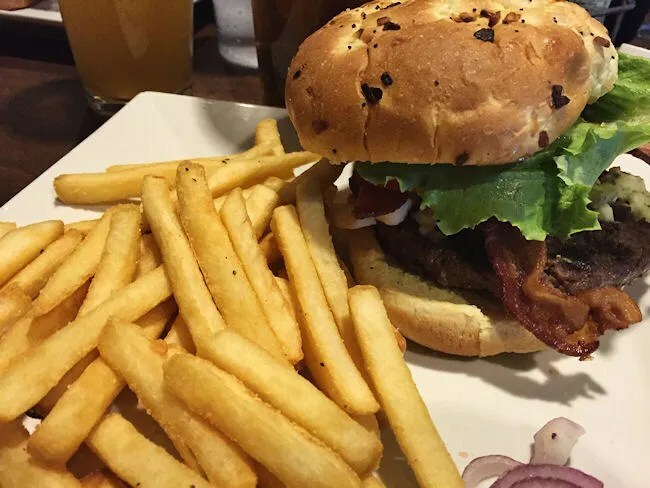 It is topped with bleu cheese and bacon and served on a poppy seed roll from Eds Breads…also from Kalamazoo…which, again, sounds hyper local, but they are distributors for Alpha Baking Company out of Benton Harbor..and another national restaurant supplier. Again, this is not a knock on the quality of the product. The sandwich was very delicious. I’m just laughing a little bit at this attempt to appear to source locally….and again, it’s not a lie, but it’s not what you might think it is. The sandwich came with choice of fries or cole slaw. 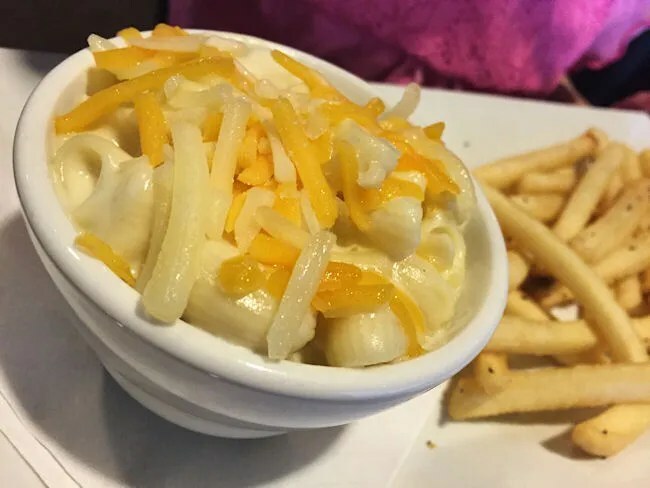 I took the fries while my mother-in-law upgraded to a side of fruit. The fries were fairly common restaurant fries that complimented the sandwich. J ordered the BLT. The sandwich was grilled whole grain bread with bacon, lettuce, tomato and mayo. There was a lot of bacon on the sandwich. 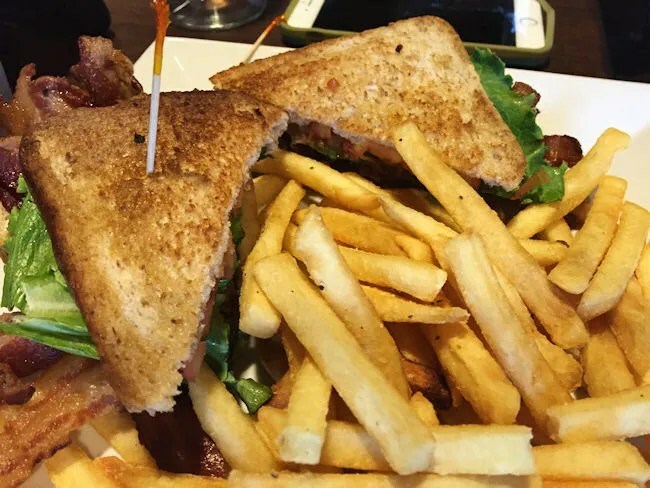 The sandwich itself was rather large and bacon took up most of the real estate. I’m not exactly sure how, but there was too much bacon for J, so she pulled a couple pieces off and gave them to me to add to my burger. She didn’t say a whole lot, but I got the feeling she didn’t really like it. Not sure why….she was just awfully quiet and wasn’t wild about going back the next night when L suggested it. Speaking of L, she ordered herself the Mac ‘n Cheese. The waiter brought her meal out first while ours was cooking. The kid’s mac ‘n cheese is a scaled down version of the grownups. It’s macaroni with a white cheddar and monterey jack sauce with shredded cheese added on top. L ate quite a bit of it (for her anyway) and most of the fries that came with it. She could have ordered fruit or applesauce, but she chose fries and we didn’t stop her. Our bill came out to around $60 and while I enjoyed my meal from 11th Street Grill, it’s no Burdick’s. It’s nice to know we still have an option just down the street and it’s a pretty good place for kids as well. 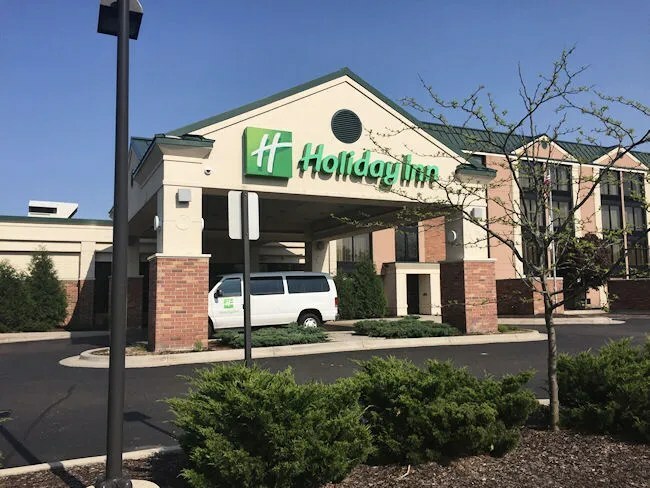 As far as hotel restaurants go, this is still a top notch option for those travelers staying at the Holiday Inn but it’s also good for the surrounding community to have a place that serves up good food and has a decent selection of local craft beer. They purchased the Ice Arena and moved Burdicks West there. It’s just off 9th street! That one was there before they sold the hotel. At one point, there were three Burdick’s…the one at the Holiday Inn was just right down the street from us. We still go to Wing’s West occasionally, but not nearly as much as we did the Holiday Inn location. Would be nice if somebody posted an actual menu and not just an unreadable picture of one and some of the food! There is one their Facebook page.